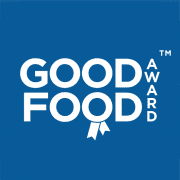 Food Emporium Leeds, 14 Forge Row, New Farnley, Leeds, LS12 5DN have now been awarded our highly revered Good Food Award – Gold Seal for 2019. Our Gold Seal is the highest accolade bestowed by the Good Food Awards and is reserved to those achieving our award for three consecutive years or more. Premises must maintain the same exceptional standards that gained them initial entry into our awards over a three year period. Truly making this achievement the marque of distinction. These premises have demonstrated exceptional levels of food quality, service and value when compared to our industry benchmarks in their category and have now maintained this formidable standard for three or more consecutive years. Our clientele wanted a change from the usual takeaway curry turning up semi cold reheating leaving the same taste. We arrived with the conclusion of fusing together high quality ingredients, finest spices to create a traditional authentic Kashmiri curry which is prepared in rapeseed oil bursting with tasteful textures. The mouth watering flavours which are unique to each curry we cook are not associated with the usual takeaway curry which is cooked using the same base full of artificial colouring and preservatives laced with oil and sprinkled with last weeks coriander, compensating a menu which has endless choices but it all tastes just the same with a different name. Awesome food delivered chilled, ready to heat up at your convenience. Very low in fat but still very tasty! Great staff too.